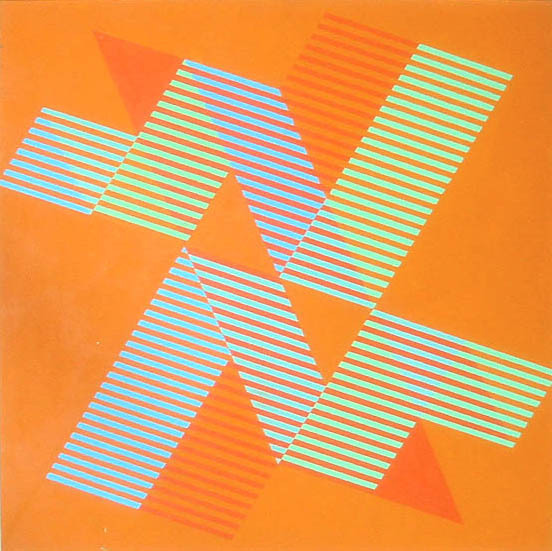 The above minimal geometric work of art was made by Sewell Sillman in 1965. 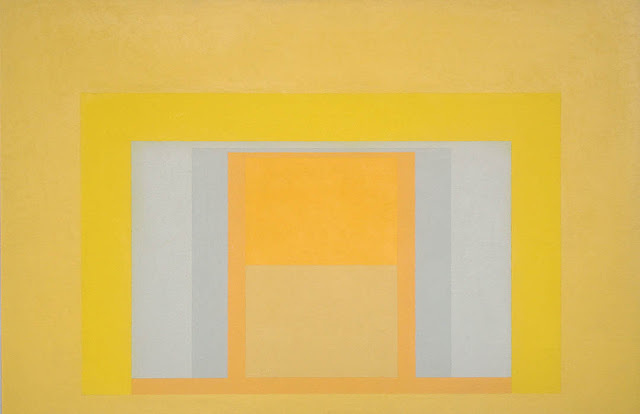 Its composition was deeply influenced by the Bauhaus and Josef Albers. Sewell Sillman is not a mainstream artist but Christie's New York had decided to include his work at the upcoming Christie's Post-War & Contemporary Art Auction at Rockefeller Plaza. Very reasonable estimate $4,000 - $6,000. 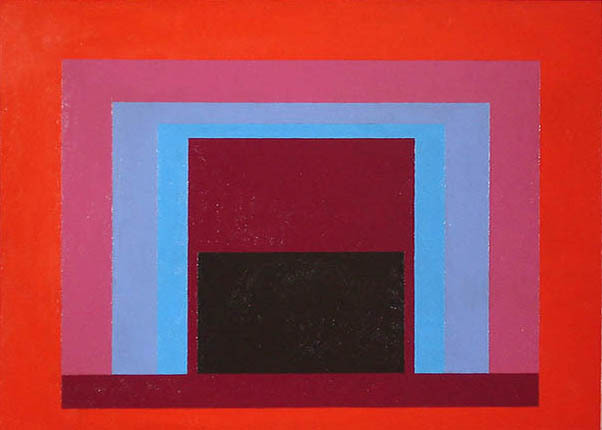 Or purchase his works through Francis Frost Fine Art. 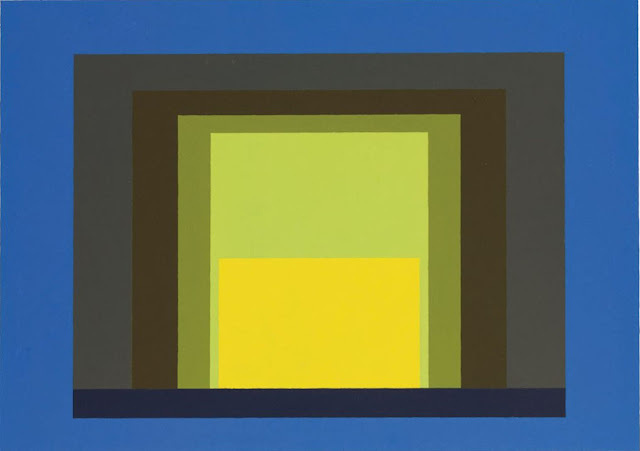 In the art world, Sewell Sillman was acclaimed for the technically accomplished print editions of the work of such artists and photographers as Josef Albers, Walker Evans, Piet Mondrian, Ad Reinhardt, Jean Dubuffet, Jacob Lawrence and Romare Bearden, which he published with a partner, Norman Ives. As a painter, Mr. Sillman elaborated on the formal exercises that were the focus of his teaching, producing strict geometric forms that resulted from laying down self-imposed limitations and exploring their visual possibilities. 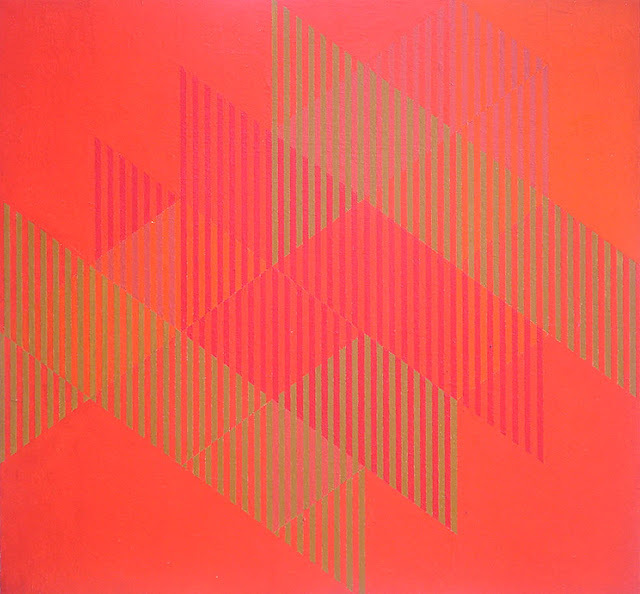 His work was exhibited at the Sidney Janis and the Stable galleries in New York City, and in 1987 he had a one-man show at the Denise Rene gallery in Paris. His work is in the collection of the Museum of Modern Art and the Whitney Museum of American Art in New York, and the Phillips Collection in Washington.